The book of Revelation has always been one of the most interesting books of the Bible to me, ever since I was a child. The imagery is just so colorful, and I love the end when Christ conquers and creates a new Heaven and earth! It never fails to make my heart jump, and reading through Revelations always puts the day to day struggles into perspective - it reminds me that we are all part of a bigger story, and it makes me want to live more for Jesus, because someday He is coming back! The Book Of Revelation Made Clear by Tim Lahaye and Timothy E. Parker is a great guide to Revelation. When I first picked up this book I thought it was a regular chapter book, but I would call it more of a Bible study guide. Each section opens with a short quiz about the Scripture text. Then it gives you the actual Scripture, along with a short commentary about the verses, and the section finishes off with the answers to the quiz questions. Every verse in the book of Revelation is covered in this manner. If you have ever wanted to do a personal Bible study on the book of Revelation, this book is a great place to start. I also think it is ideal for those who have never read Revelation before - it makes each verse easier to understand. For those, like myself, who have studied Revelation before, I'd say this book still left me with a fresh perspective and brought attention to some things that I had never thought about. The quizzes were also fun for me to test my memory of the specifics of each verse! I also have to say, one of my favorite parts of the book was the appendices - Apendix A covers everything Christ says about Himself in the first three chapters of Revelation, and I liked reading through it and seeing that focused picture of Jesus that is presented in Revelation. Apendix B is a list of all of the Lord's names throughout Scripture - I have been wanting to find a complete list like this, so I loved that a list of His names was included. It inspired me to make this printable - click the link below to view and download it! I'd definitely recommend this book for anyone who is interested at taking a deeper look at this interesting and mysterious book of the Bible. One thing that I want to teach my kids to do well as they grow is to look for opportunities to bless others. This is easy to do when someone is going through a rough time, or even when they are in the midst of exciting events in their lives. But what about just every day, ordinary, for-no-reason opportunities to bless people? I want them to grow to be the kind of adults who will buy their sibling something just because they love them, who will write their friends an encouraging note, who will call their grandma just to tell her they are glad God put her in their life. I want them to not just think of the grand gestures, but the little ways to make someone else's day a little happier. A resource that I am really excited about for this is the book Share A Blessing from Tommy Nelson. This book makes it so easy for kids to think of others and send some of those every day encouragements to those they care about! This book contains 24 notecards or postcards that kids can write a quick note on, and it also includes 1,000 stickers (yes, 1,000 - I didn't mistype) that they can use to decorate the cards (or whatever else they want). I was looking through it, and I would have loved this book as a girl! I think they need to make one for adults. The book is definitely more geared toward girls (lots of pink and flowers and hearts), but I think girls are generally the ones who send cards. Boys seem more likely to just hang out and play games, call someone, or punch someone to say "I love you" (though I don't recommend the punching - I'm just saying). So I think Gwen will be the one who will really love this as she gets older! It's recommended for children ages 8 and up, but I'm not letting that stop me. I think I'm going to let the kids put together a card now, maybe for someone we don't get to see as often. I think both of them will really enjoy it - because even though Wyatt is more into cars and dinosaurs than flowers and hearts, did I mention that there are 1,000 stickers in this book? When you are three, any stickers are way better than no stickers. We're going to have fun with it, and it's the perfect training tool to teach being thoughtful toward others. Click here to check out some of the cards in this book! It was late afternoon, and I had the windows rolled down. I could hear the birds chirping outside the window, and the leaves were rustling with the breeze in that ever-so-slightly dry way that signals that summer is winding down. I had just finished whipping up a batch of cream cheese frosting for the carrot cake I had made. I had chili simmering on the stove. Clyde was positioned on my hip, and I managed to get the beaters off the mixer with one hand. I took a lick of the frosting to taste it, and then I called Wyatt and Gwen over and gave them a taste. They bounced up and down while I let them lick the beaters dry, and then we heard Derek's truck pull up the driveway outside the window. Little feet running toward the door. Happy squeals and shouts of "Hi Dad! ", as I followed the kids to greet Derek. And I had one of those moments. One of those "I can't believe this is my life" moments. My mind flashed back to several years earlier, and a guest post I had written for my blog friend Anna where I talked about a June Cleaver moment like this. Greeting my husband with the sound of little feet and a baby on my hip. And suddenly it didn't matter that my June Cleaver moment included me in sweatpants. It didn't matter that Clyde had been crying all day and that was the reason I was holding him while making frosting. It didn't matter that the rolled-down windows had led to a shortened nap time when a thunderstorm woke up two of the kids. It didn't matter that the chili and cake had been my sole accomplishments that day. Because in that moment, I remembered. I remembered how much I wanted a moment just like this in those early days. I think as moms it can be easy to get so caught up in the daily tasks that we forget to look around and see what we have. We can focus so much on all the things that are going wrong that we forget to notice the things that are right. In moments of frustration we shoot up prayers that the Lord would just let our day go smoother, and we forget to shoot up prayers of thanks for frosting faces, babies that just want to be with mama all day, and husbands that work to make it all possible. The light turned on in that moment, and I looked around and saw that I had the things I most wished for all those years ago. Any remnants of frustration melted away, and instead of feeling like crying because I hadn't even had time to get dressed properly before Derek got home, I felt like crying because I remembered. I remembered that I didn't always wish for perfect days. I always wished for these sweet little people that fill my crazy days now. I stopped right then and thanked God, because I remembered that I have what I always wanted, and it's okay if it's not picture perfect. 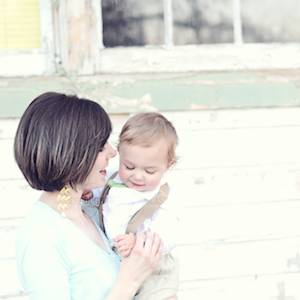 It's a beautifully blessed life that He's given me, and somehow the imperfections make me like it even better. My sweet Clyde is four months old as of this past Monday! The biggest accomplishment this month - Clyde can roll over both ways! He has been rolling all over the floor since he figured it out, and he no longer sleeps on his back - both of those things freak me out a little. I can't quite tell if he likes the rolling or not, but I think he is doing it on purpose. At night he usually rolls over to his side now, and then sometimes over onto his stomach - I usually try to turn him back if I see that, but he doesn't always stay on his back. He is laughing so much more this month, and it is adorable! He thinks it's funny to be surprised, but only if he is expecting to be surprised - so peekaboo is a big hit. If he is not expecting to be surprised, like with a sudden loud noise, he cries. He is totally a mama's baby - he loves me. As long as I'm holding him he is happy as can be, and he calms down almost as soon as I pick him up. When I put him down, his eyes follow me around the room, and as soon as I look back and talk to him his face just lights up, even before he smiles. Sometimes when I'm trying to feed him, Clyde can't focus because he keeps looking up at me and grinning in the middle of his meal. I kind of love it that he only has eyes for me! I only have a little time while that's still true, so I'm taking full advantage. Even though he is very attached to me, he is also really attached to Derek. The other day Derek handed him off to a family member, and Clyde was just bawling, so Derek took him back and Clyde calmed right down. He definitely loves his daddy! I love seeing his eyes light up when Derek plays with him, it's so cute. Clyde also loves playing with Wyatt and Gwen. I feel like he is even more aware of them this month, and when I lay him down on the floor with Wyatt and Gwen while they are playing, he is happy as long as they are in sight. They also like playing with him - I caught them trying to "tickle" Clyde the other day (he was loving it). Wyatt shows Clyde his cars by stacking them on Clyde's stomach. The other day I had Clyde in his car seat while I got things ready to go, and I came back to find that Gwen had given him her doll to hold. Wyatt and Gwen both love their little brother. I think Clyde might be a little musical, like Wyatt. I was singing to him the other day, and Clyde was just giving me the biggest smile. Wyatt has always loved music, and I'm wondering if Clyde is going to be the same. He is using his pacifier less, and sucking on his fingers more. He hasn't found his thumb - I'm not sure if he's going to. His knuckles seem to be doing the trick right now. He has this little blankie that is similar to the one Wyatt is so attached to - and Clyde loves his blankie already. He loves having it touch his face while we are driving around. Sleep has been okay - he has been waking up a little more. He probably goes a 6-7 hour stretch at first, and then another 4 hour stretch or so - not bad, he has just been waking up for that first feeding earlier. I feel like he has been doing way better when I first lay him down though - if I put him down awake he will cry for a little while, but then he'll go to sleep by himself. For a while there he either had to be nursing or have his pacifier to fall asleep, so I am happy that he is starting to figure out how to fall asleep without that. We had to start supplementing with formula this month, because my supply is just not keeping up with him. I'm thinking about trying the tea to see if that helps. My favorite thing about Clyde right now - his smile! My mom calls it his "million dollar smile", and it really is - his smile just fills his whole face! I love it. Little Guy, you are just so precious! This month you seem to be doing much better as far as the colic goes, and I am seeing more and more of your personality. You definitely love attention, and you are happiest when someone is holding you - and when you are happy, you are really happy! You have such a great smile, and you are generous with it. I love that you are so smiley, and seeing you grin at me makes my heart jump a little bit. I think you look a lot like your daddy, but I can also see bits of me in there too. You are such perfect blend of the two of us, and I can see that more as you grow, but I think your smile is your dad's. I love that you are a snuggly baby, and those quiet snuggle times are some of my favorite moments with you. You have these dark eyes, and you are always watching my face, with a scrunchy nose smile ready whenever I look your way. You make me feel like the most important person in the world with that smile. I love you, Sweet Boy. I love these little days with you. Can I just say how much I love board books for this age? So many of our books end up looking like this. And it's just sad. I know the books are here to serve us, not the other way around. These are just things, so I try to be laid back about when pages get ripped accidentally. I try to teach the kids to be gentle with the pages of their books, but their little fingers can only be so gentle at this stage. It's not like they do it on purpose. Of course there's the whole "I ripped a little corner of the page, so let's just rip the whole thing out" philosophy that Wyatt ascribes to, but we're working on it. But I have to say, my book-loving heart drops a bit at the sight of a colorful page lying on the floor. So board books? They make me happy. 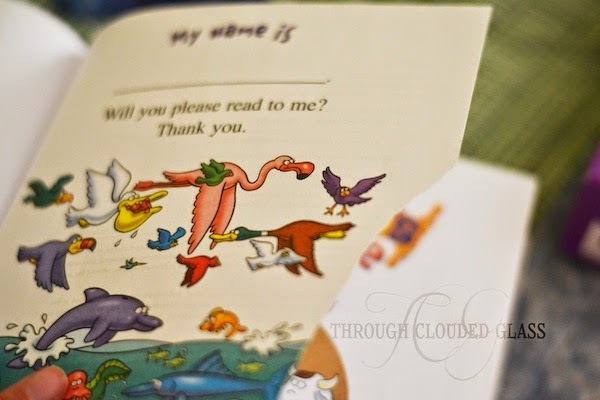 Do you remember those Little Critter books I reviewed several months ago? I used to love Little Critter books growing up, and I love that Tommy Nelson is publishing some faith-based versions of these books! The only thing I was bummed about at the time? The pages were regular old paper. I retired those books to our bookshelf until the kids get a little older. I was expecting to do the same with this next set of Little Critter books, but when I opened the package, what did I see? Board books! These books come in a board book version! I was probably a little overly excited about this. I loved both of these books. In "Being Thankful", Little Critter is wishing for everything he doesn't have, until his grandma shows him that we need to be thankful for the things that God gives us. 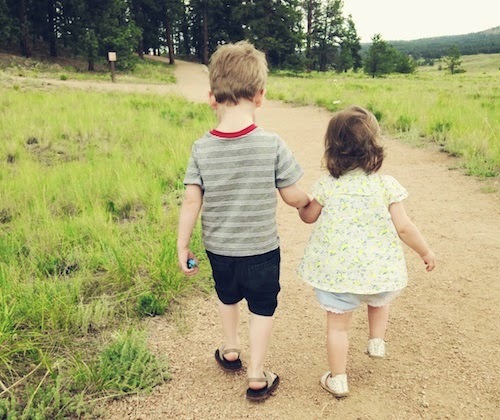 She reminds him by giving him a blue "thankful rock" to remind him to be thankful for what he has. I thought this was a really cute story to show kids where they could be more thankful. And how cute is the thankful rock idea? I know it's just a story, but it reminds me of those rocks that people carry around and rub when they get stressed out. I think a thankful rock is a much better and more meaningful idea. In "We All Need Forgiveness", Little Critter is forgiven multiple times throughout the book in small ways, even while he is unforgiving toward others. Then he makes a big mistake and messes up his school play, and thinks his friends will never forgive him. His mom reminds him that we need to forgive each other just like God forgives us, and Little Critter sees that he needs to forgive others when they make mistakes as well. Both of these books were sweet. The illustrations are fun and detailed (which I know I always loved as a kid), and I like how these books teach lessons by making the right and wrong behavior really obvious to kids. Wyatt definitely likes listening to the story and we talk about how Little Critter could be nicer/do better as we read. I especially love that these versions also include a lesson about God as well - being thankful to God, and teaching about how God forgives us. It makes me feel good knowing they aren't just reading a fun book, but are learning important truths and values as well. And they are board books! I don't have to worry about whether these ones will last until they are old enough to read! Cue my sigh of relief. You can preview these books yourself here and here! Tommy Nelson has also offered a copy of these books to one of my readers! Enter below for a chance to win! I picked up Annie Down's Let's All Be Brave book, because the word "brave" caught my attention, since the MOPS theme this year has to do with being brave. There were a few things that I liked about this book, and a few things that bugged me. -Down's writing style is very casual, almost as if you are having a cup of coffee with her. I did like her conversational tone and the quirky jokes she throws in here and there - it made the book an easy read. -I liked her overall point in the book, which seemed to be to encourage women to be brave in doing what God has called them individually to do with their lives. -Even though I liked the conversational tone of her writing, the downside is that the book felt very disorganized to me. Most of the chapters are compromised of stories, with little points hidden in here and there - but sometimes I feel like Downs gets so caught up in her stories that she loses her point. In certain chapters you really have to be paying attention to catch what she's getting at, and she loses some impact because of that. "If we go back to the book of Genesis, where the world began, we see that God started it all with words . . .And we are made in His image. We speak, and things are created." -Chapter on "Your Words"
This is not a biblical concept. Yes, God spoke everything into existence, but nowhere in Scripture does it say that we have that same capability as a result of "being made in the image of God". The suggestion that we can actually bring things into existence with our words is reminiscent of the New Age "Christian science" or the word-faith movement, which I think are dangerous and unbiblical ideologies. I think Downs is probably just trying to make the point that our words have impact, rather than saying that she believes we can physically bring something about with our words - it may be just an unfortunate choice of words on her part. I'm willing to give her the benefit of a doubt since I didn't find anything else too concerning in the book. Overall, I enjoyed this book - the majority of it was stories, but Downs always brought her stories around to an encouragement to her readers to be brave, in a lovable, big sister kind of way. I laughed out loud throughout the book, and thought about areas where I could be more courageous in my own life, so it was a winner in that I felt uplifted after reading it. Note: I received this book for free in e-book format from the publisher through NetGalley. This is my honest opinion. 2:00 AM - Wyatt hears a noise and wakes up. I bring him downstairs to sleep in my room. 6:00 AM - Clyde wakes up - I go into his nursery to feed him. 6:15 AM - Wyatt comes into the nursery to find me. I tell him it's not time to get up yet, and I bring Clyde back into bed with us so he can finish eating. 6:30 AM - I put Clyde back down in his room. 6:35 AM - I go back into Clyde's room to give him his pacifier. 6:40 AM - Wyatt tells me "I'll be right back, I need to go get my stuff". He comes back a few minutes later with multiple noisy toys. 6:47 AM - I go back into Clyde's room to give him his pacifier again, and realize he has a dirty diaper. Change diaper. Put the pacifier back in his mouth. 6:50 AM - All the kids quiet down, and I get a little more sleep! It is cloudy and rainy, and that make it seem earlier than it is. 7:33 AM - Gwen starts making noise from upstairs while I drift in and out of sleep. 7:50 AM - Wyatt turns on his noisy toy. Clyde wakes up. Gwen starts getting upset. I roll out of bed. 8:04 AM - I get the kids some oatmeal for breakfast, and go downstairs and listen to a sermon podcast while I finish brushing my teeth and fixing my hair and makeup. Clyde starts crying, and I get him up and dressed. 8:15 AM - Get Gwen out of high chair, and find oatmeal in her hair. Try to clean it out with hand soap. Her hair is sticky and stiff for the rest of the day. Wyatt chooses his favorite shirt to wear. 8:30 AM - Teeth are brushed, makeup done, hair fixed. Kids are dressed and fed. I sit down with a cup of coffee and a FiberOne breakfast bar. Gwen sits at the table with me and shows off her vocabulary. Wyatt plays with toys and talks to Clyde. Clyde lays on the floor and observes and coos. I read Compelling Interest off and on, because Gwen is distracting me by blowing kisses, and I return every one. One of our few peaceful moments during the day. 9:15 AM - Clyde is hungry. I settle down with my book and cover to feed him. Gwen decides to climb on the table and drink the last of my coffee. Wyatt starts drawing on a paper (and his shirt) with my green highlighter. 9:45 AM - Clyde falls asleep in my arms, so I finish my book. Wyatt dumps the toys out of his toy basket. Gwen is up to something suspicious in the bathroom, and I tell her to come out. Wyatt decides to change back into his pajama pants. 10:15 AM - I put sleeping Clyde down, and pick up the toys that were dumped everywhere. 10:30 AM - Clyde is awake again. 10:45 AM - I take off Wyatt's highlighted shirt and spray it with Shout. Start a load of laundry. Write quick Goodreads review of Compelling Interest. 10:53 AM - I decide that we're going to go visit Grandma at her work. Change Wyatt back out of pajamas. He decides he wants to wear his winter football hat, and I let him. Put Clyde in carseat. Grab a trash bag to take bathroom trash to the dumpster on the way out. Find the roll of toilet paper completely unrolled on the floor. Gather up the toilet paper and put it on the bathroom counter for later use (it's still clean, right?). Get kids into car. Ralphie jumps in the car while I'm strapping the kids in, so I just decide to bring him. Run back inside, change into a more presentable shirt, throw a couple bobby pins in my hair. 11:08 AM - We depart. 11:13 AM - Forgot my jacket (it's raining), my purse, and Wyatt's "little blankie". Now we depart. 11:15 AM - Forgot Clyde's wubbanub. We depart (really). 11:20 AM - Stop to get mail, half of which is soaking wet from the rain. Note to self: Get a waterproof mailbox. I received two new books! Wyatt thinks one of the packages must be books for him, and I have to tell him they are books for mama. 11:24 AM - I see UPS guy in our neighborhood on the way out and hope they aren't going to my house because I left Harvey out. 11:35 AM - Arrive at mom's work. Spend a few minutes visiting while the kids dig into the box of toys they keep in the lunch room. 11:45 AM - My sister shows up to visit with my mom too! Great minds think alike. Spend some time visiting with my sister while mom gets back to work. 12:05 PM - Mom leaves for lunch. I decide last minute to go grocery shopping today instead of tomorrow morning like I planned. Maybe if I hurry the kids can still get a short afternoon nap in. 12:10 PM - I leave mom's work and turn on Rush for the drive to town. 12:14 PM - I pass a truck on the way up the hill and realize it's my dad. I don't think he recognizes me. 12:30 PM - It occurs to me that if I don't get back in time for naps, I may not get to take the bath I was wanting to take during naptime today. I step on the gas a little. 12:46 PM - I arrive at the grocery store just as a close spot opens up - score! I open the back door and remember that I have Ralphie with me (he is so quiet back there). Thankfully it's a cool, rainy day, so he'll be safe in the car. 1:05 PM - Wyatt talks me into cinnamon donuts and new sippy cups for him and Gwen. 1:20 PM - We check out. Clyde is crying now. I get sympathetic looks from passersby. The clerk talks to Wyatt and tells me how cute he is, and I wholeheartedly agree. 1:25 PM - We stop at the in-store McDonald's and I get the kids hamburgers with no ketchup (to save their shirts - learned that one the hard way). I get a frappe and spicy chicken sandwich. Gwen licks all the whipped cream off my frappe before I even touch it, but it's kind of cute, so I let her. 1:35 PM - Kids are loaded in car with their hamburgers, groceries are loaded in car. I feed Clyde and check Facebook. Get Clyde buckled back in and and head over to Target to get a present for Danae's baby shower. 1:55 PM - I hear a screech and glance back to see that Gwen has spilled her entire cup of water on her lap. 1:59 PM - We arrive at Target, and I get another close spot! What are the odds? I open the car door to tiny McDonald's onions and pickles spread all over the back seat. Gwen is in a surprisingly good mood for being soaking wet. We proceed into the store. 2:12 PM - I find what I need pretty quickly, and we wait in the checkout line. Clyde is crying again, but I know he'll be fine when we get back to the car. "Look mama!" is repeated over and over as Wyatt shows me multiple toys and candy bars that he finds in the checkout aisle. I exclaim over each one, but remind him that we have donuts in the car. As we walk back to the parking lot I tug Wyatt's hat down around his ears, and he is excited when I tell him I am going to look for a new winter hat for him. I grin at his enthusiasm. 2:19 PM - We are back in the car and it occurs to me that Clyde might need a diaper change. I realize I forgot the diaper bag at home since we were originally only supposed to be gone for a half hour. I cross my fingers that he'll be okay until we make it home. 2:35 PM - Last stop - the Christian bookstore for a book to add to my gift. We form our usual "chain" on the way into the store - me carrying Clyde's carseat, Wyatt holding my hand, Gwen holding Wyatt's hand. Wyatt finds a bunch of toys and movies that he loves, and I secretly wish I could buy everything for him. I add a new Bible song movie for the kids to my cart. 2:50 PM - Kids are packed in the car. Clyde looks at me as I'm lifting his carseat and laughs. We finally head home! I play Seeds of Faith for the kids and listen to a podcast with my earbuds. 3:25 PM - I glance back and see that Wyatt is asleep. Gwen is wide awake. 3:44 PM - Gwen and Clyde are asleep, and we arrive home. I unload groceries, unbuckle the kids. I would really like to wash my hair because Derek is coming home tonight. The kids are cranky, so I try to put them down for a short, late nap (after peeling off Gwen's wet clothes). I get Clyde out and change his diaper, and I discover that he has indeed had a diaper leak . I rinse out his clothes and remember that I need to throw the laundry in the dryer. 4:04 PM - I sit down and feed Clyde, hoping he'll drift off again. Watch Mental Floss on a recommendation from Felicia. Wonder why I have never heard of this before. 4:29 PM - Clyde is clearly done eating, and is wide awake, grinning at me. We play for a couple minutes. Wyatt comes out of his room, and Gwen makes a noise. I give up on naps, settle the kids on the couch with Silly Songs Countdown and one powdered cinnamon donut each. I buckle Clyde in the swing and hurry downstairs for my bath. 4:44 PM - Type up part of this post while I wait for the bathwater to fill. 4:53 PM - Hear Gwen knock on the bathroom door just as I'm about to step in the tub. I wash and blow dry my hair quickly. 5:09 PM - Get dressed, take straightener upstairs so I can keep an eye on the kids while I fix my hair. Gwen brushes her hair while I fix mine. We dance around to silly songs, and I am thankful again that I get to stay home with my sweet kiddos most days. 5:33 PM - Unload groceries, start boiling noodles for dinner. Fill up bathtub again for the kids. Throw laundry into dryer, start a new load. Grab the baby carrier and strap Clyde in. 5:50 PM - Get kids in tub. Blow bubbles for them and let them play for a little while. Wash the stickiness out of Gwen's hair. 6:25 PM - Kids are clean and eating dinner. Clyde is settled back into his swing. Wyatt asks me where Harvey is and gets upset when I tell him Harvey is outside because "Harvey is scared of the rain!" Kids love the pesto noodles and ask for seconds while I evaluate whether I should make more for me and Derek. Clyde falls asleep and I think I may regret it later, but I let him snooze for now. 6:45 PM - I try to call Derek to see where he is, but when he doesn't answer I decide to go ahead and get the kids ready for bed. Realize that Gwen has pesto in her hair - decide I'll give her another bath tomorrow. Change Gwen and read her a Bible story. Sing her "Trust And Obey", pray together, and tuck her in. Wyatt wants his polar bear pajamas, but they are in Gwen's room, so the shark ones will have to do. Read him a Bible book. Read him an alphabet book. Pray and sing him "Jesus Loves Me". Practice John 3:16 and praise him when he says the whole thing by himself! Kiss him goodnight. Come back a minute later to help him "fix his tractor". Kiss him goodnight again. 7:04 PM - Clyde is crying. Feed him again while I read Let's All Be Brave by Annie Downs (review coming soon). 7:22 PM - Clyde is asleep, and I hear Derek pull up, so I sneak Clyde into his crib before the dogs bark and wake him up. No such luck. Ralphie barks right as I lay him down and his eyes fly open. I smile at him and say goodnight. He smiles at me right before I turn out the lights. 7:26 PM - Greet Derek. Heat us up some noodles, and pour myself a glass of orange juice. 7:30 PM - Derek goes in to give Wyatt a kiss (since he's still awake). Then we settle on the couch with our dinner and watch the Bachelorette finale that I didn't get to watch on Monday. We cuddle, eat ice cream, and I draw Derek into discussions on whether Andi will pick Josh or Nick. He humors me, because at least we're together, even if he does have to suffer through the Bachelorette. 9:30 PM - Bachelorette and After The Final Rose show are over. She picked Josh (thank goodness). 9:45 PM - Brush teeth, use my semi-new facial products to wash and moisturize my face (more on that soon). 10:00 PM - Read in bed together before we turn out the lights. I do my devotions now since I didn't do them in the morning today. 11:05 PM - Clyde wakes up crying. Feed him again. He drifts off to sleep. 11:30 PM - Lights out for real this time. Note: This was a busier, crazier day than normal, and I feel like it's so hard to get an accurate idea of a day in my life right now, because each one looks so different. Still, this was one of our actual days with three kids under four years old, and I think it will be fun to look back on someday when I no longer spend my time picking up toys and trying to salvage rolls of toilet paper! What fun these days are, even if I do collapse into bed every night. It's a good kind of exhaustion - I'd rather be exhausted from spending a day with my kids than form anything else! I am finally getting around to posting Clyde's newborn photos! I am also sending out his birth announcements in the next week or two. . . even though Clyde is almost 4 months old. Better late than never, right? Anyway, my friend Danae took his photos, and they turned out so adorable! I love the props and poses she used, and she captured his newborn sweetness perfectly. You can request to follow my photo blog to see all the photos! I have always kind of wished I lived in the 1940's or '50's. Everything just seemed so wholesome back then. And one thing I wish still existed today - soda fountains! Whenever I watch old TV shows, and a soda fountain is involved, it just looks so fun. Like a place to socialize with everyone in town while drinking delicious concoctions. When I saw a book called "The Soda Fountain" (by Gia Giasullo and Peter Freeman) up for review, I knew I had to request it! Maybe I could recreate some of these old-time drinks in my own home! This book was really interesting, and included a lot more information than I thought it did. It starts with several chapters on the history of seltzer and soda fountains, which were actually really fascinating. The authors are actually a brother and sister who started their own old-fashioned soda fountain in New York, and they have worked to resurrect a lot of these old drinks. The book tells the story of how they got started in the soda business, and it's really inspiring - it makes me want to go out and start a soda fountain (or at least find one where I can buy a float). The rest of the book is recipes for everything from homemade sodas (so far we have tried the homemade blueberry and strawberry soda recipes - they were so good), to floats, to sundaes, milkshakes, and ice cream toppings. They even have a chapter on egg creams, which I had never heard of, but it's kind of like an Italian soda. I definitely want to try an egg cream next. Derek and I have been having a lot of fun with this book, and I am determined to try several of the soda and sundae recipes when he is home for the next few months. It will be like having our own soda fountain right here at home! If you have ever wished that you could visit a real soda fountain, definitely check out this book! These are real recipes that the Brooklyn Farmacy uses every day, and it is so generous of the authors to share their "secrets" with us. And here is a big bonus for you - Blogging For Books accidentally sent me a second copy, and told me I could keep it. So . . . I have one to give away to one of you! Enter below for a chance to win!